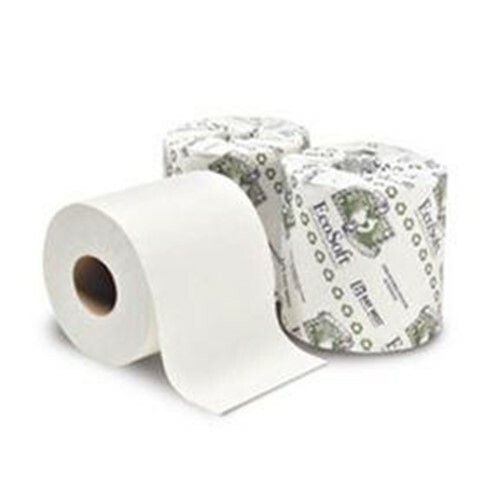 This two-ply, EcoSoft universal tissue is embossed and ideal for commercial buildings, properties, and hotel guest rooms. This quality tissue is designed for environmentally conscious customers. EcoSoft universal tissue is 100 percent recycled and contains a minimum of 25 percent post consumer waste. Meets EPA guidelines for post consumer waste. Dispenser: 72200 dispenser as well as most standard roll dispensers.